The opposition Zionist Union faction said on Monday that it will submit a no confidence motion against Prime Minister Benjamin Netanyahu’s government, over the cabinet’s decision to shelve a hard-won deal for a pluralistic prayer space at the Western Wall and the initial approval of a bill that would cement the ultra-Orthodox monopoly on conversions. “The government’s decision against the Western Wall as well as the conversion issue severely harms US Jewry, Israelis, those who seek to become a part of the Jewish people, and any one else who wishes to pray at the Western Wall according to their customs,” the party said in a statement. “The message conveyed to both Israelis and Jewish communities abroad is a bitter one which creates a barrier between Israel as the homeland for the Jewish people and large segments of the Jewish people,” it said. The motion will be submitted to the Knesset next Monday. On Sunday, the government suspended a plan it had previously approved for a pluralistic prayer area, following calls by Netanyahu’s ultra-Orthodox coalition allies to scrap the deal. The plan would have seen the establishment of a properly prepared pavilion for pluralistic prayer — as opposed to current temporary arrangements — under joint oversight involving representatives of all major streams of Judaism. The decision to cancel the deal was lambasted by the opposition and representatives of Diaspora Jewry as well as coalition faction Yisrael Beytenu and members of the Kulanu party, which is also in the government. However, on Monday, Yisrael Beytenu head Avigdor Liberman indicated he wouldn’t derail the coalition over the disagreements, saying he hopes that he can cut a compromise in the coming week. Kulanu’s leadership has been silent on the matter. 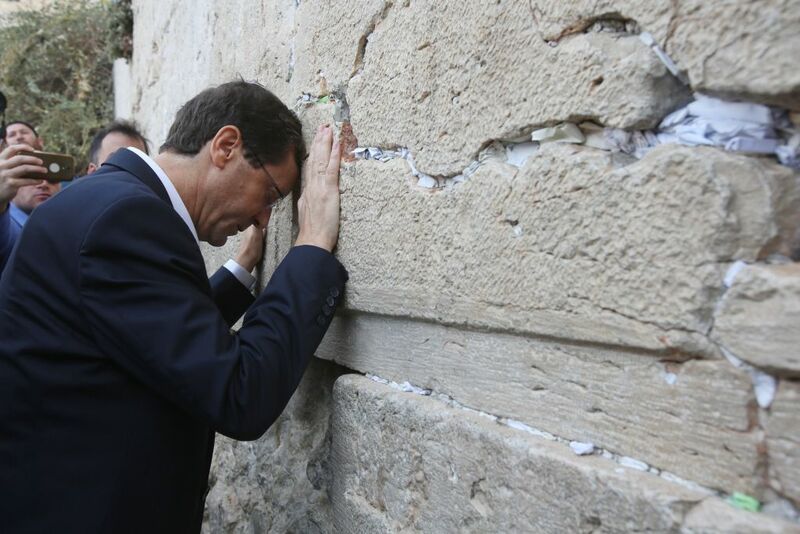 Zionist Union leader Isaac Herzog, who is due to meet on Tuesday with Jewish leaders from the US, told Army Radio Diaspora Jews have “tremendous anger” over the government’s backtracking over the Western Wall deal. Currently, a prayer space at the Western Wall south of the main plaza and down several flights of stairs hosts pluralistic prayer. The deal would have seen construction work to raise the space up to the same level as the rest of the main plaza, and would have given control of the site to all religious streams under the state’s imprimatur. Cabinet Secretary Tzachi Braverman said Netanyahu had ordered work to continue in preparing the plaza and that it remain open to all streams of Judaism. 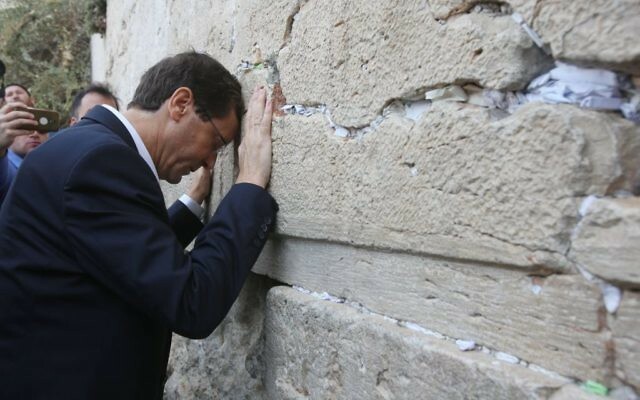 “It is important to Prime Minister Netanyahu that every Jew be able to pray at the Western Wall,” Braverman said in a statement released by the Prime Minister’s Office.